Homemade natural acne face masks are the best way to getting rid of acne and acne scars. These masks including kitchen ingredients which help to nourish your skin and eliminate skin related problems, like acne scars, pimples, etc. 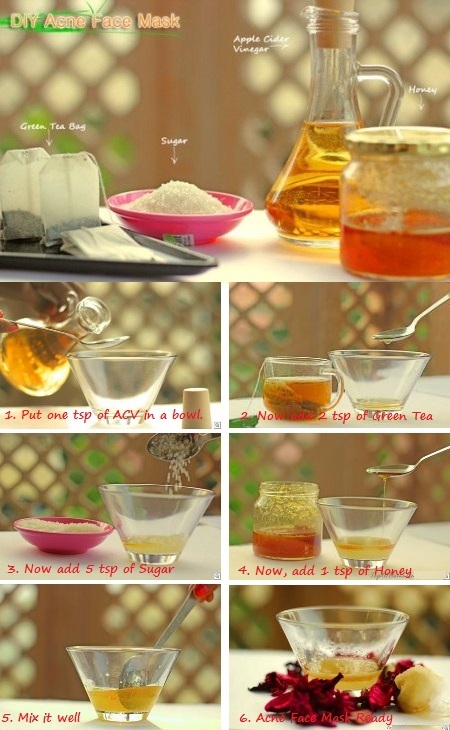 Here we will discuss top 3 DIY homemade acne face masks. 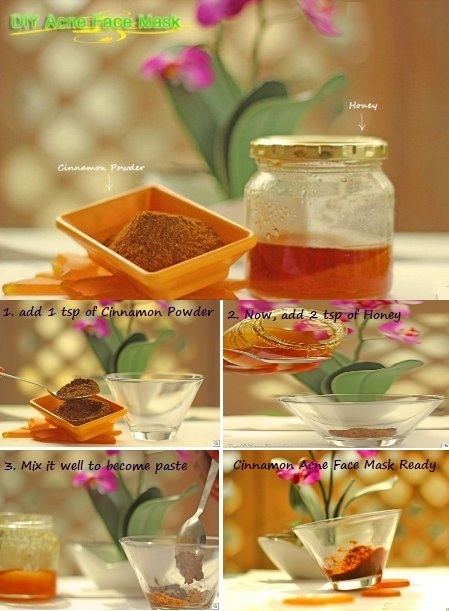 These mask help to remove your pimples and acne scars. Before apply these natural masks, you must be remove you’re all makeup and wash your face properly. Face washing helps to unclog pores and allows the masks to penetrate deep into your skin. 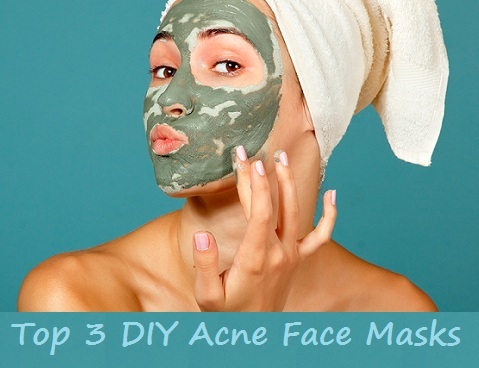 The top 3 homemade acne face masks recipes here. Take a bowl and put 1 tsp of apple cider vinegar in it. Now, add 2 tsp of green tea (be sure tea must be cooled). Now, add 5 tsp of sugar in it. Finally, add one tsp of honey in the bowl. Now stir the mixture well to make thick paste. (You can add more sugar for thicker consistency). Apply this mixture on your face using a cotton pad and massage it for few minutes. Wait for at least 10 minutes. Do this one or two time in a week. This mask removes your dead skin cells and improves the circulations which helps to breakout the acne scars and unclog the open pores. Take a bowl and put 1 tsp of cinnamon powder in it. Now, add 2 tsp of honey. Mix both of ingredients well. (If paste is thick then add more honey). Apply this mixture on your face using your finger. Wait for at least 10 – 15 minutes. Then rinse it off with lukewarm water and apply the toner on your face. Do this daily; it will help to remove your acne and scars. Take a bowl and put 1 tsp of turmeric powder in it. Now, mix 1 tsp of Honey in it. Now add, 1 or 2 tsp of raw milk. Mix all ingredients well, until it become thin paste. Apply this mixture on your face using the makeup brush. Leave it for few minutes, and then rinse off with water. If yellowish stain leaves on your skin, then you need to soak a cotton ball in milk, and then rub this cotton on stained areas. It will clear your skin. Do this two or three time in a week. These all acne mask are effective and worked for many, I want to show you some home remedies for other skin issues. you can see them below.